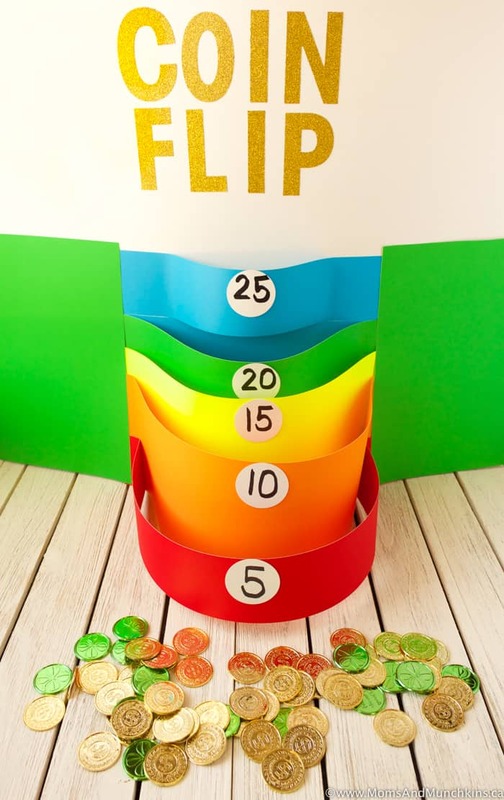 These leprechaun games for St. Patrick’s Day are all so clever! This is a collection of ideas from talented bloggers so be sure to click through to each post to read all of the creative details. I think I’ve just discovered some new fun family traditions with these creative ideas! The above game is my version of the popular skee-ball arcade game but in a coin toss version. You’ll find the details on how to make this fun game over on my St. Patrick’s Day Games post. 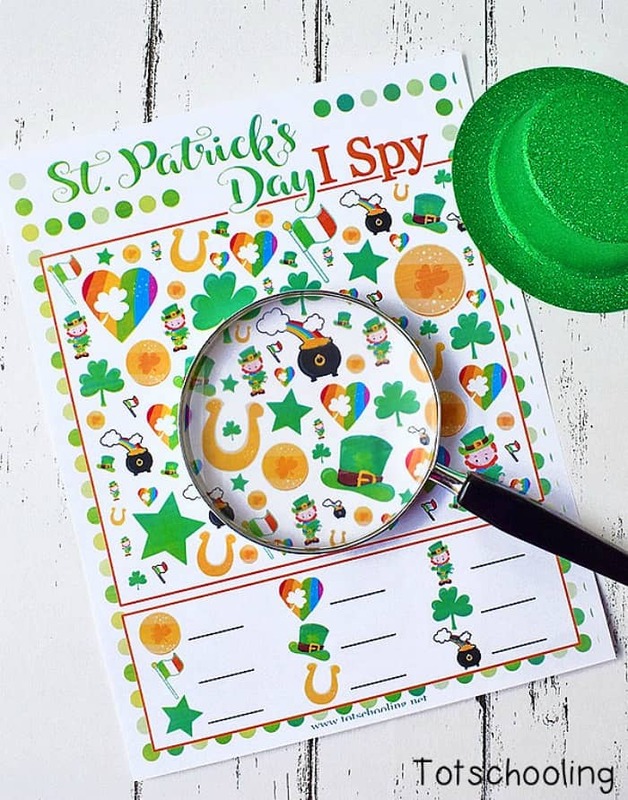 This St. Patrick’s Day I Spy Game by Tot Schooling is a fun & quiet game your kids can play on their own. 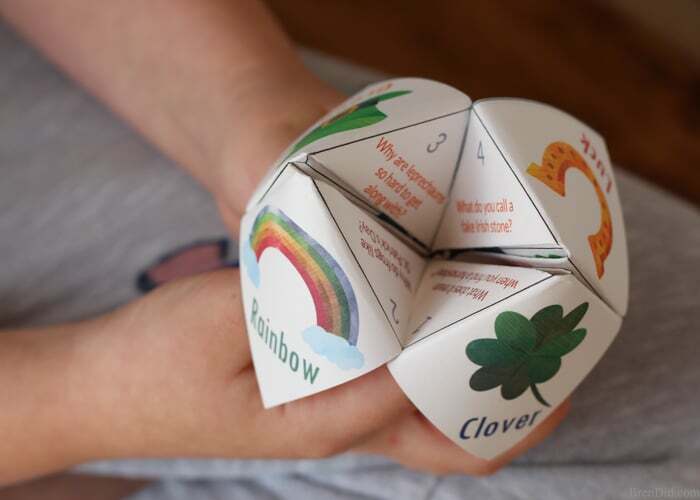 My son loves playing with these joke & fortune tellers so I know he’s love this St. Patrick’s Day version by Bren Did! 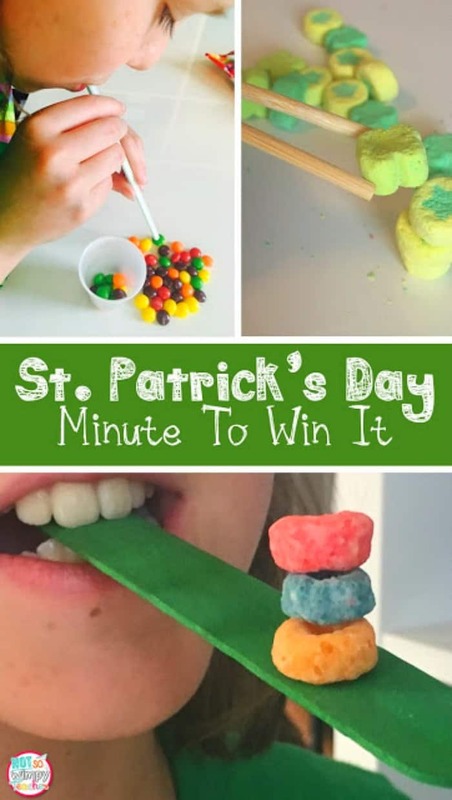 These St. Patrick’s Day Minute To Win It activities from Diary of a Not So Wimpy Teacher look like so much fun! My favorite is the Rainbow Balancing Act – I bet this is hard to do while laughing! These 12 Hilarious St. Patrick’s Party Games from Play Party Plan are fun for all ages! The Shamrock Shake game is my favorite! 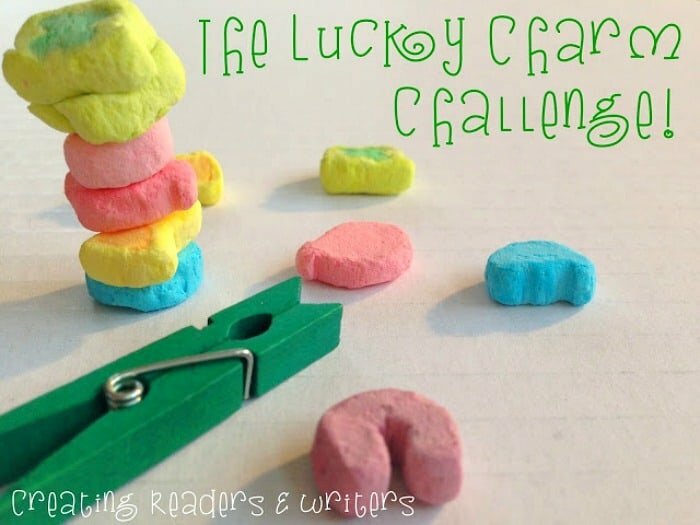 My son would love this Lucky Charms Challenge by Creating Readers & Writers but I can guarantee he’d be eating the game pieces. Ha! 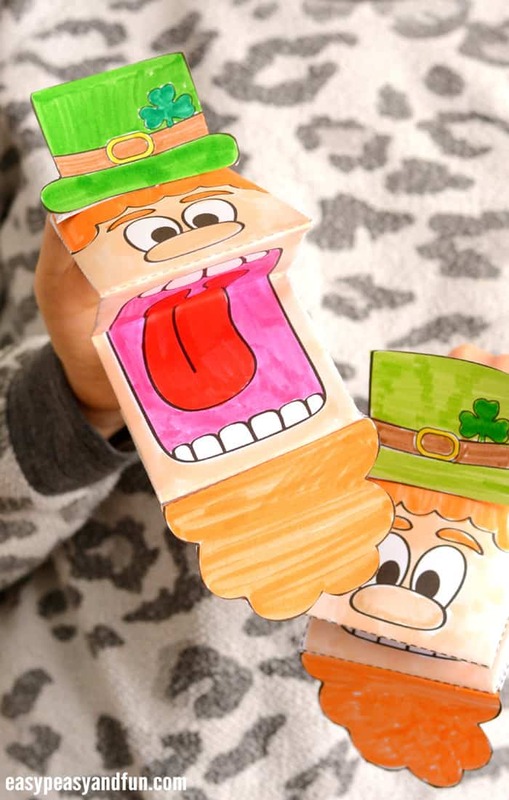 This Leprechaun Hand Puppet by Easy Peasy and Fun is adorable! A creative craft for the kids plus they can put on a little puppet show after. I absolutely love this Leprechaun Game by Chica and Jo! 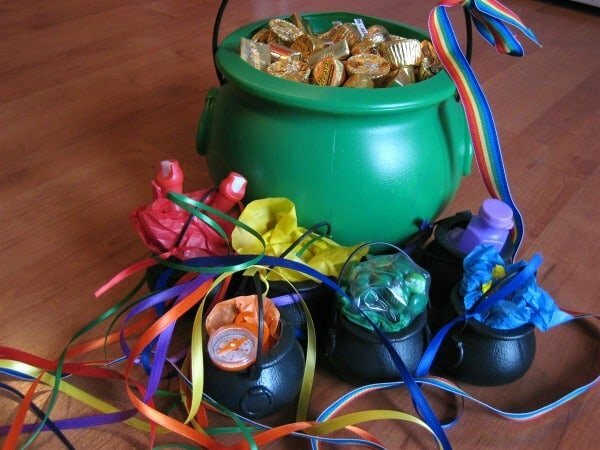 Your kids will have so much fun chasing the rainbow ribbons around the house in search of the hidden treasures. I think this one would be just as fun to create as it would be to play! There are so many creative ideas in this article so be sure to take notes while reading it! 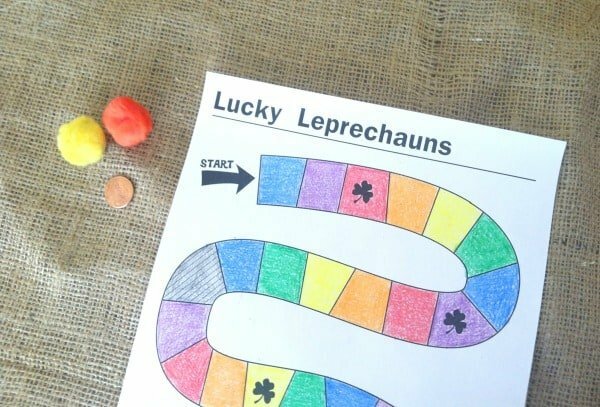 This Lucky Leprechaun Game by Paging Supermom is two activities in one game! To start, your kids get to color the game board and then they get to have fun playing it! Be sure to visit their site to print the free game. 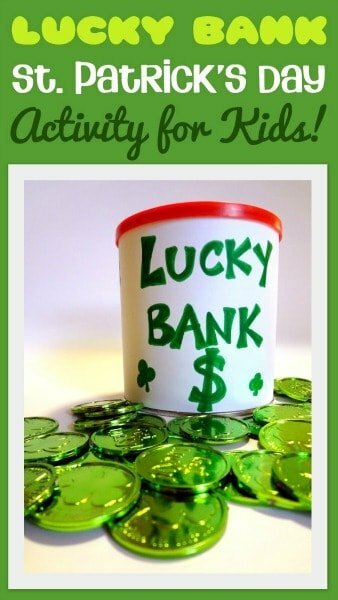 This Lucky Bank Game by Little Family Fun starts off as a fun little craft and turns into a variety of different games like counting, treasure hunting and more! Visit their post to see even more fun ways to use this lucky bank. How does your family celebrate St. Patrick’s Day? Do you have a treasure hunt? Eat green food? Try to catch a leprechaun? 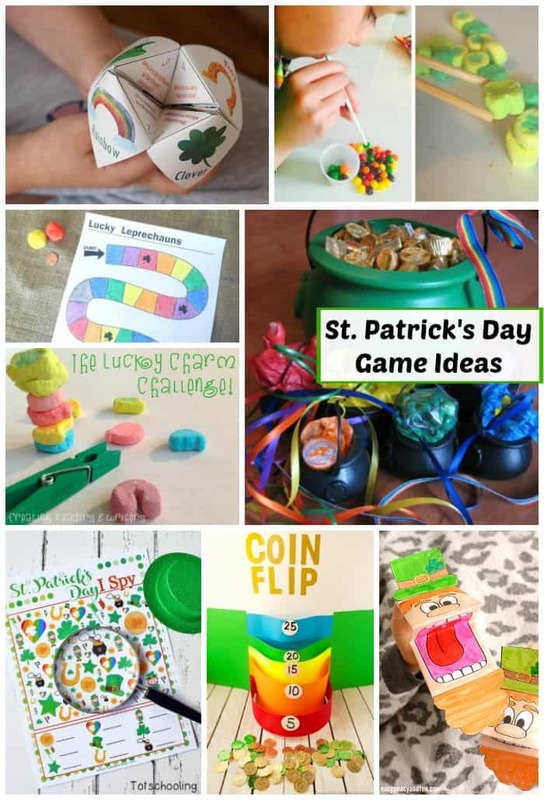 Don’t forget to visit our special St. Patrick’s Day page for more free games, party ideas, activities, meal ideas, sweet recipes and more! We’re always adding new & creative ideas to enjoy with your family. Stay updated on the latest ideas by following us on Facebook, Twitter, Pinterest, and Instagram.